Video streaming is a high-impact, low-cost way of allowing you to share your Virtual Event or live company broadcasts with a global audience. Our robust live video broadcasting solution takes care of all the technical hassles, leaving you free to focus on delivering a great event. Using state of the art video streaming technology, we’ll film your event and broadcast it live to a purpose-built video hosting platform, complete with your logo and branding. You can opt for either a site that is completely open to the public or a password protected one, allowing you to keep tabs on login statistics or even monetise your event. In fact, we can help with the entire process, from sending out branded email invitations to hosting your videos online once filming is complete. All you need is a reliable internet connection – and if you have any concerns about this, we can advise on installing a dedicated line, too! Most live online streaming services use two separate screens: one to showcase a PowerPoint presentation and a separate video feed of the presenter. Our live online streaming solution mixes both live, offering one video window that looks great and is engaging to watch. Our fully flight cased Mobile Studio kit we use to stream events comes with up to four HD cameras, as well as 1-2 technical operators to make sure everything goes without a hitch. We can work with video and audio feeds that you provide, or we can take care of all filming and sound, too. 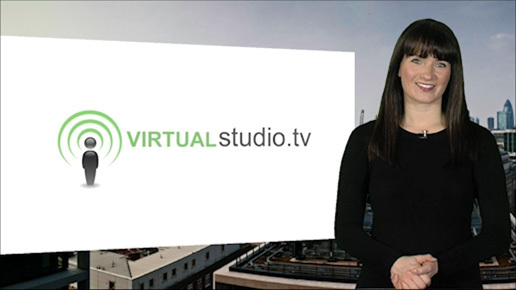 We can also include our Virtual Studio Technology in your live video streaming by bringing our Mobile Studio to your venue. We can then stream a Virtual Event direct to one of our video hosting sites for your staff, colleagues and stakeholders to view all over the world! If you would like to start sharing high quality live videos with your global audience, please contact us today.